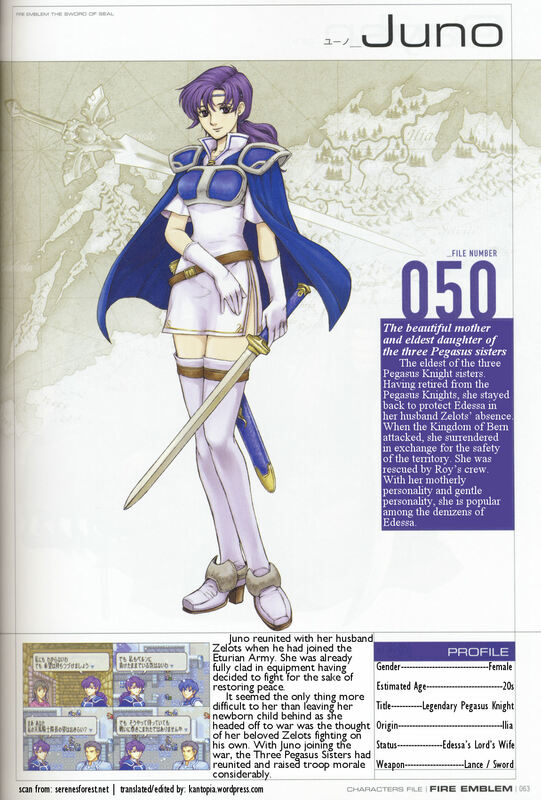 Today I translated and edited Juno (Fire Emblem: Sword of Seals)’s art book page (063). Japanese and English transcripts can be found below the picture! As well as the original image. This scan was from serenesforest.net. 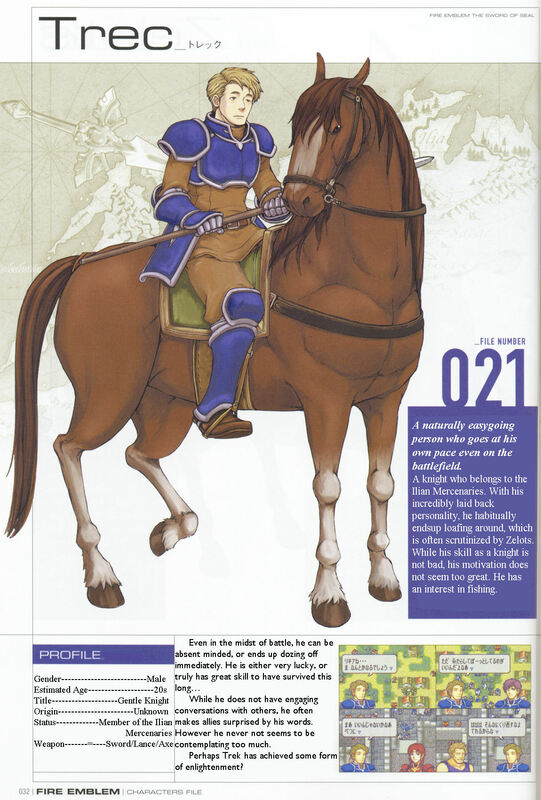 Today I translated and edited Noah (Fire Emblem: Sword of Seals)’s art book page (033). Japanese and English transcripts can be found below the picture! As well as the original image. This scan was from serenesforest.net. 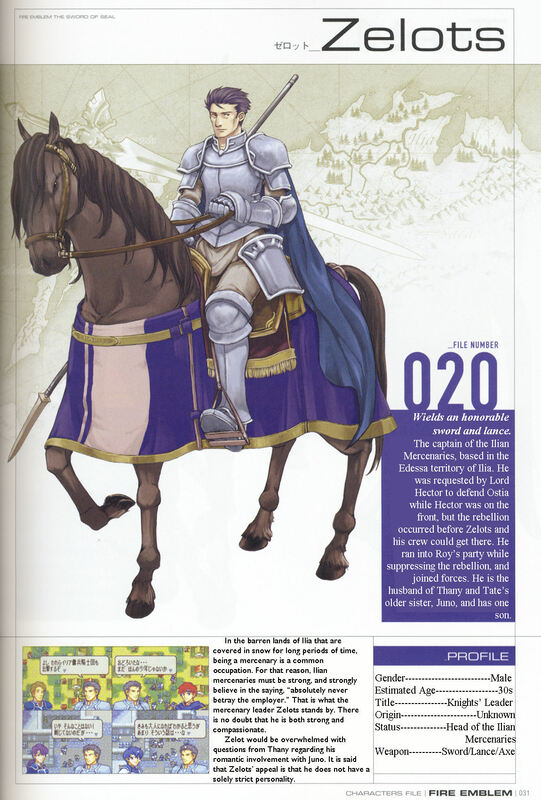 Today I translated and edited Trec (Fire Emblem: Sword of Seals)’s art book page (032). Japanese and English transcripts can be found below the picture! As well as the original image. This scan was from serenesforest.net. 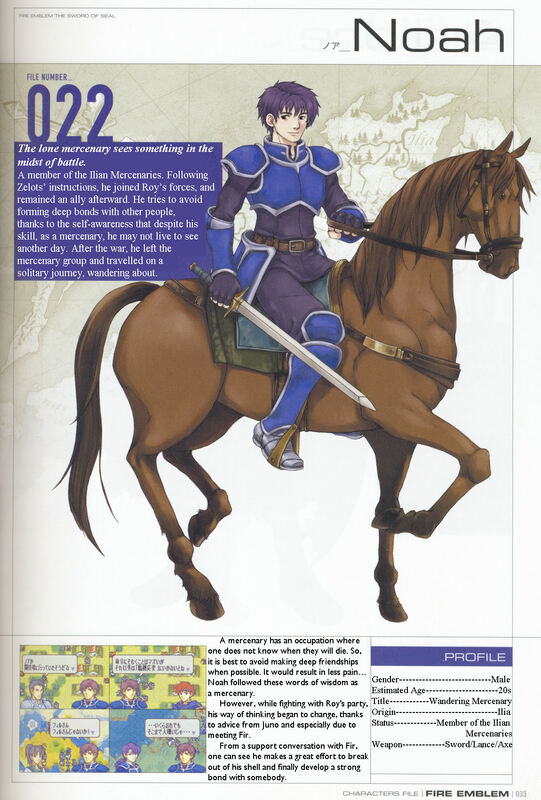 Today I translated and edited Zelots (Fire Emblem: Sword of Seals)’s art book page (031). Japanese and English transcripts can be found below the picture! As well as the original image. This scan was from serenesforest.net.